The development of Internet access is very fast and an increasing number of users visit websites using mobile devices. New technologies appearing from day to day still work on the basis of very old solutions. One of them is HTTP protocol, which was invented over 20 years ago. And yet it is one of the basic elements thanks to which the Internet we know has the right to operate. The biggest advantages of HTTP/2? Is it a good idea to have a server with HTTP/2 support from the SEO point of view? This is the latest version of the HTTP protocol and, to put it simply, is responsible for communication between your web browser and the server that supports it. The current version of the standard is HTTP/1.1, which is very old despite the update, so that websites are not able to load as quickly as technologically possible. Many website developers and server administrators try to bypass these problems by using Content Delivery Network (CDN) servers, libraries that delay the loading of certain elements of websites or by using a browser cache. HTTP/2 solves many problems and simplifies the communication between the browser and the server in such a way that the speed of loading web pages can even double. In order for HTTP/2 to work, the website must have an SSL certificate. First of all, the speed, which was achieved mainly by reducing the number of queries generated by the browser to the web server. Going to a website that offers HTTP/2 you will establish one connection with the server and it will be active until you leave the website. So far, using HTTP/1.1, your browser has generated hundreds of queries, causing server load and reducing the speed of loading web page elements. 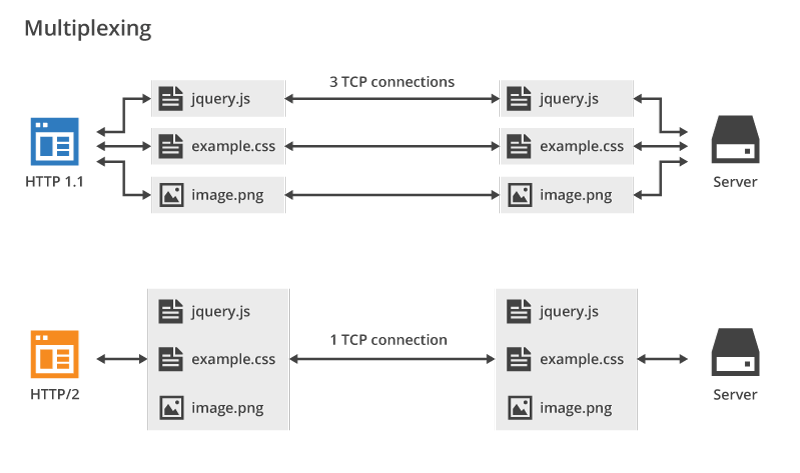 HTTP/2 protocol also allows for parallel downloading of many elements of the page, such as JS, CSS files, or images. Until now, every query to the server has been queued. Another important change is prioritization. Servers that support pages have gained the ability to prioritize important resources, which improves the speed of loading pages. The speed at which a web page reads in is important for SEO. As you know, Google has long been encouraging you to work on optimizations on your website. Having HTTP/2 support on a server can be treated by Google as a ranking factor. It is worth having websites on hosting servers that offer the latest technologies, including PHP 7.2 or just HTTP/2.